Monday’s controversy in Jaipur was not the first time Jos Buttler was ‘Mankaded’. 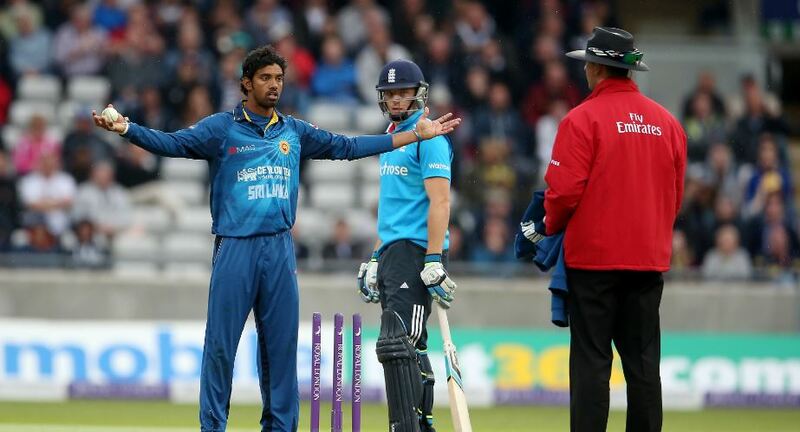 Sri Lanka spinner Sachithra Senanayake dismissed Buttler in similar subjective fashion during June 2014’s fifth and final ODI at Edgbaston in Birmingham. The laws of the game at the time required Senanayake to warn Buttler prior. The same rules applied in 2012, when Ashwin tried to ‘Mankad’ Sri Lankan batsman Lahiru Thirimanne. Those statutes have since changed – and Kings XI Punjab Ravichandran Ashwin, indeed, didn’t have to forewarn the Rajasthan Royals batsman in Jaipur. ‘It is obviously batsman error. If you walk out of your ground and someone wants to do it, it is in the laws of the game. It is all part of the game. I was disappointed at the time, because it doesn’t happen very often. But the bowler would say why don’t you just stay in your crease? So I guess I did learn something from it,’ Buttler said in June 2014. The Englishman, though, obviously has not learnt. Whether Buttler left the non-striker’s crease too early, Ashwin’s timing in clipping the bails was nefarious or third umpire Bruce Oxenford’s final decision was correct are rather moot points. Ashwin acted in the law’s provision. High-stakes competition like the Indian Premier League often brings out the best in players professionally, but sometimes the worst personally. Ashwin – like Kapil Dev in 1992, Senanayake in 2014 and Keemo Paul in 2016 – will be judged professionally and personally. ‘It was very instinctive. It was not planned or anything like that. It’s there within the rules of the game. I don’t understand where the spirit of the game comes. Naturally if it’s there in the rules it’s there,’ said Ashwin. Some will interpret this statement as dishonest, while others will resonate. England cricketers like Eoin Morgan, Jason Roy, Sam Billings and others, of course, have sided with Buttler. The predictable and vexing bias continued with Australians Dean Jones and Mitchell Johnson effectively supporting Ashwin. Others, meanwhile, placed the blame on inadequate laws and Oxenford. While standpoints and opinion can be waylaid, the timing of this controversy cannot. 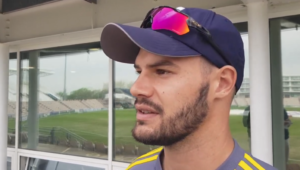 Two contests significantly more important to world cricket than the IPL are mere months away – and one trusts an awkward precedent has not been set for the World Cup and Ashes series.